Journalist Rigoberto Tiglao in his article for the Manila Times said that the Roman Catholic church in the Philippines has enough to feed millions, with the hundreds of billions that it has in its fund, but refuses not to. He made his own computation which is the basis of his claim. "A low 5 percent annual income on its P100 billion assets, will generate P5 billion every year. Divide that by the 365 days in a year and it will mean P14 million it can spend every day for soup kitchens. How many poor Filipinos (allowed to eat there only once a day) will that P14 million feed? 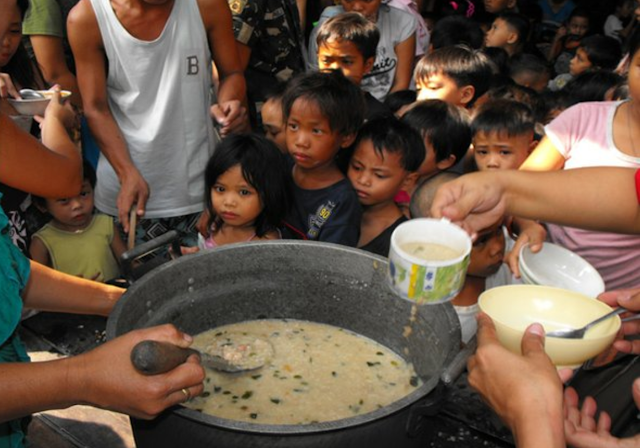 At just P15 per lugaw, that would mean 1 million Filipinos fed every single day." Tiglao calls "shameful, most hypocritical" the fact that despite its preaching to its flock to help the poor, the actual work it has done for this duty has really been marginal, if one considers its wealth estimated at least at P100 billion. Rigoberto Tiglao, photo from IT'S XIAOTIME! A program to feed the poor, said Tiglao, is something that the church can afford, as evidenced by the infrastructures that it has built. "With its money and with the free labor it always manages to get (who cleans the priests’ toilets anyway? ), it can set up what’s called soup kitchens, maybe in our case lugaw centers, free for anybody who cares for it, at least every of its Sabbath day but ideally – and “doable” with its wealth – every single day of the year," he said. "The problem with our clerics is that nearly all of them haven’t experienced in their entire lives the pangs of real hunger. Believe me, it’s terrible beyond imagination. A bowl of lugaw given to a poor Filipino who hasn’t eaten in three days is heaven on earth," he added. He noted that there are religions that cater to the poor, like the Sikh religion, where they serve free meals and the Buddhists who give out free meals one a week. "Setting up soup kitchens on Sundays has also been a practice of many Catholic and Protestant churches in the US. The biggest are those of the Catholic Charities USA, which routinely operates such soup kitchens in the poorest urban areas in that country that feed 4,000 people." He also recalled the story in the Bible, where 5,000 people were fed by Jesus. "Even as it unceasingly rants against governments, and pleads for the poor, I haven’t heard of the Catholic Bishops’ Conference of the Philippines, the very wealthy Opus Dei, the noisy Lingayen Archbishop Socrates Villegas, or the De La Salle University serve free lugaw to the poor, have you? Or do they think God will take care of the poor, anyway?," he said. The journalist said that *P100 billion is an estimate based on about P40 billion in stocks held by its dioceses in blue-chip companies, the biggest of which is the Bank of the Philippine Islands; the value of the now prime lands and facilities of their top-rung universities (Ateneo, La Salle, UST, Letran, etc); and the estates all over the archipelago that the Church has accumulated over four centuries. 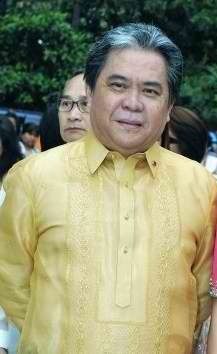 He added that an estate was uilt in Tagaytay worth at least 10 billion, owbed by the priests. Tiglao said that both diocesan and religious congregational, must be transparent and make public its finances. "In 2015 the Archdiocese of Cologne for the first time published its financial accounts, which showed that its assets as of end-2013 amounted to €3.35 billion (P206 billion). That’s a bit bigger than the assets of the Vatican, which Cardinal George Pell, the Holy See’s secretary for the economy, revealed in February 2015 as totaling €3 billion. That label for it as the “Church of the Poor” ranks among the biggest lies of our era."